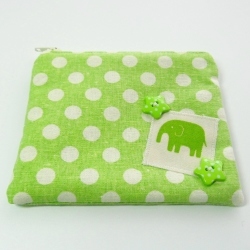 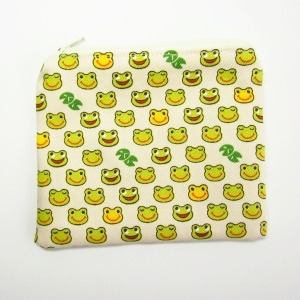 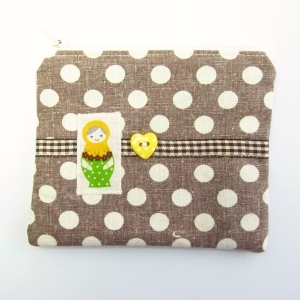 A cute zippered pouch in lime green and cream polka dots made from a Japanese linen/cotton fabric. The purse is decorated with an appliqued lime green elephant motif and green polka dot star buttons. Lined in lime green cotton, the purse fastens with a cream zip and is fully interfaced for shape and structure. 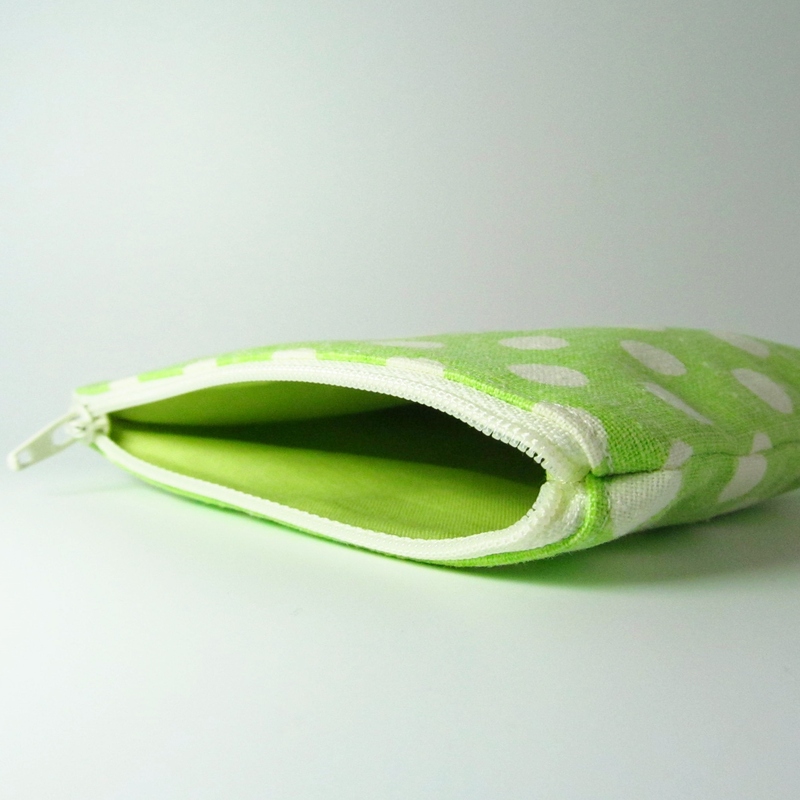 The front of the purse is embellished and the reverse is made from the lime green polka dot fabric. 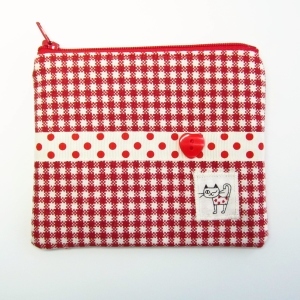 This would make a very cute gift, of just treat yourself! 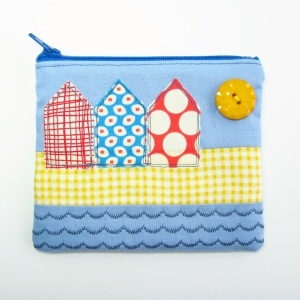 Category: Purses & Wallets. 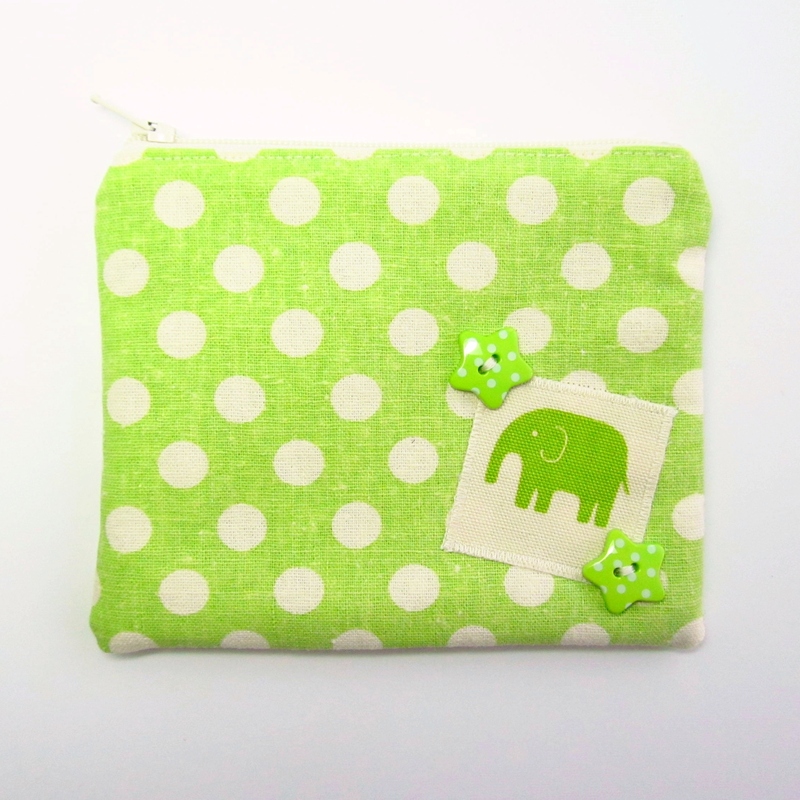 Tags: buttons, change purse, coin purse, cotton, cute, elephant, fabric, handmade, Japanese, kawaii, lime green, linen, pouch, small, zip, zipped, zipper, zippered.